Check out this FREE full color guide to Home Building, Architecture, Landscape design, Interior design, and more. This image-packed glossary introduces the equipment, tools, tips, techniques, structural components, and design elements involved in architecture, landscaping, home improvements, and interior design. View a diverse selection of stunning architectural forms and elegant interiors. Dream up your own home building ideas from this carefully curated collection of images with concise, instructional definitions. QUADRANGLE: A four-sided enclosure surrounded by buildings. In home building, this design is often seen in apartment complexes. It is also suitable for college campuses. A quadrangle is more commonly known as a quad. 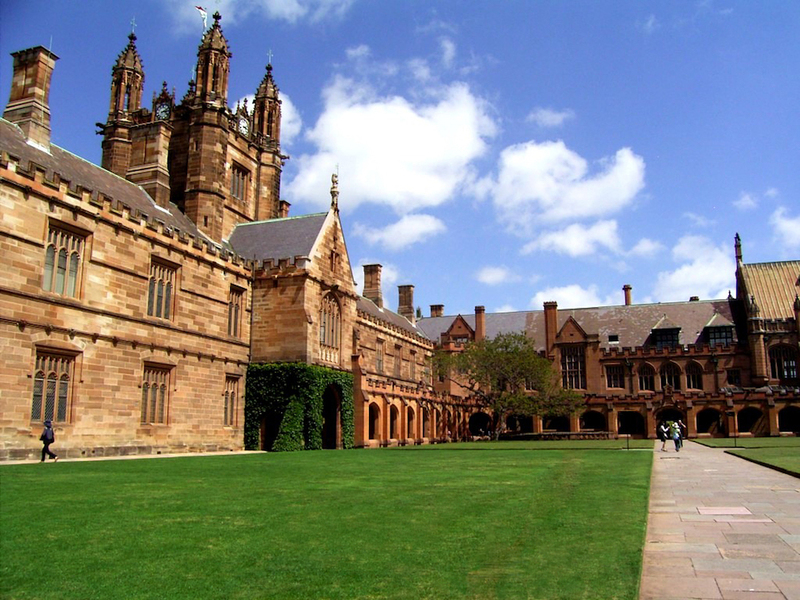 Shown below, the quad at the University of Sydney.